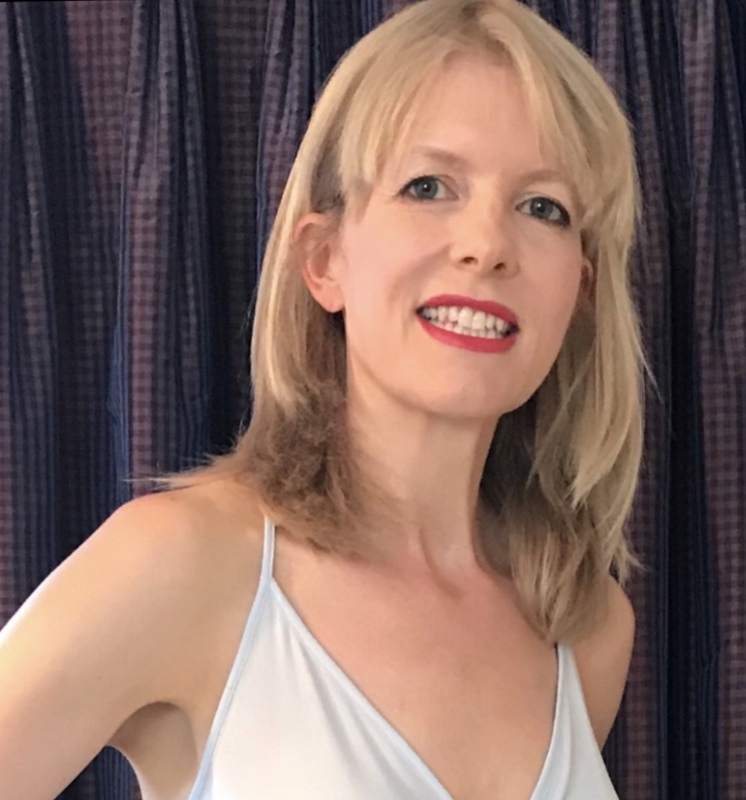 Being punched in the face is what has always put me off getting into the ring but if anyone could persuade me to try it would surely be Prairie Rugilo, the open and inspirational owner-manager of the Girl Fight MMA (mixed martial arts) training school. She set up and runs the only Muay Thai school just for women and girls, and doesn’t mince words when it comes to fighting. Girl Fight is an ironic title, bringing to mind stereotypical bitchy cat fights over men or make-up but Prairie and her students are anything but. There is, though, plenty of human drama woven all the way through this film, from Prairie’s relationship with her partner to student fighter DeAna’s desire to provide a stable upbringing for her young son. Girl Fight: A Muay Thai Story is currently available on Amazon Prime in the UK and on Amazon Prime in the US. 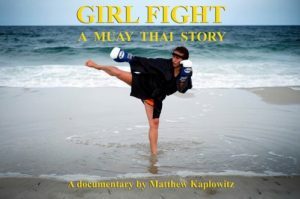 Matthew Kaplowitz’s feature-length documentary film follows Prairie, her fellow coach and girlfriend Jaime, and two of their students over several months as they train for and compete in matches, dealing with the highs and lows of competitive women’s sport and their personal lives. But there’s another story intertwined with Prairie’s fighting journey too – that of Jersey Shore where Prairie lives and trains. It’s an area that was devastated by Hurricane Sandy in 2012. With its residents and business owners driving its recovery, the area itself is going through a process of reinvention with its own triumphs and setbacks. Muay Thai is a bloodsport, the “art of eight limbs”. Some of the students are there simply to get fit or enjoy the sport but for others regular matches against opponents from other training schools are an essential component. Prairie is a natural in front of the camera, baring her soul and sometimes working out what she thinks as she’s actually talking to us. I am spectacularly nosy and love human stories, so I was delighted that Prairie was so open about her relationship with her girlfriend, police officer and fellow coach Jaime, and how they got together. (Seriously if you ever meet me and I’m asking loads of personal questions feel free to tell me to STFU. Otherwise I will keep going until I’ve found out all about your job, relationship, if your childhood home was haunted, and whether Prometheus is awful or a misunderstood masterpiece). Jaime is Prairie’s first girlfriend, though the fighter doesn’t really define herself by her sexuality. “I like Jaime. I’m a Jaime-ean” she states. And their shared love of sports means that for Prairie “it’s like hanging out with myself”. Jaime isn’t afraid to laugh at her girlfriend: “Are you kidding me? You’ve been filming her dusting the trophies?” (I’m dying to know which of them was responsible for the brilliant “NO WHINING” sign on the wall of the Girl Fight studio – if Prairie ever decides to quit teaching she could make a fortune selling those to parents of small children. I’ll have 10). I really felt for Girl Fight student DeAna Mendez. A warm and loving presence in the film, she seems prone to self doubt but works hard to be a role model for her child. After her own military upbringing moving around from place to place she’s now trying to balance work with training and being there for her son. It’s obvious that what she wants most of all is a settled upbringing for him. Fighter Hazelle (“she’s calm she’s cool she’s collected in the ring” says Jaime), introduced later in the film, seems to be a foil for DeAna. Jaime says “where Hazelle is an even keel, Mendez is up and down”. Kaplowitz also co-directed the excellent short film Concrete & Crashpads – Stunts In New York with Stephen Koepfer about the stunt community in New York City and he knows how to film fighting. Like choreographed stuntwork that can look almost balletic, here the women fighters may be hitting each other with heavily bandaged and gloved hands but they are also dancing round the ring, and round their opponents, lithe and nimble. But while these women are not brawlers they are also not simply dancers with boxing gloves. They are technical fighters and we follow them through title fights, missing opponents, grudge matches and potential breakdowns, success and defeat. Sometimes the reasons for a defeat don’t become clear even to the fighter until the fog has cleared and the passing of time has allowed them to really think about what went wrong for them. It’s always a welcome change to see how improved health, strength and fitness can empower women and girls. But there’s a paradox too, particularly for women. The very focused training, changes to diet, sleep requirements, even finding childcare while you train, can all place big limitations on your life. But the potential payoff (fitness, control, sheer fun and – yes – winning) can itself be life-changing. It was also a surprise to watch a film with almost no men in it. So few in fact that when one does pop up it’s a bit of a shock. There’s no great build up to a big set-piece finish, and a documentary film like this is always going to meander slightly, as it’s about a journey. And because it’s about individual women’s journeys it doesn’t examine the arguments for and against women fighting in regulated MMA bouts. It does though end with positive self-discovery and just a slight tinge of sadness. Read my interview with director Matthew Kaplowitz, check out my review and the trailer for the short film Concrete & Crashpads: Stunts In New York directed by Matthew Kaplowitz and Stephen Koepfer, and the short film and review En Pointe directed by Matthew Kaplowitz.